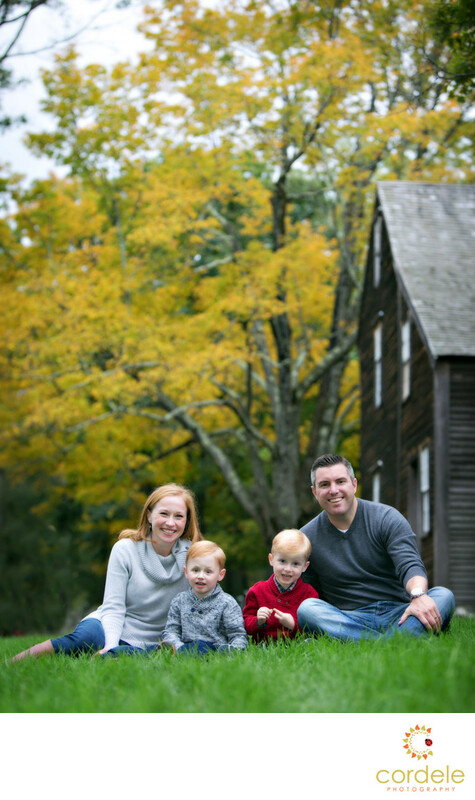 A family photo taken in the fall in New England. The leaves are starting to turn and that is when the families love to come out for fall family photos in Massachusetts. Photos in the fall are some of the most prettiest. Although we also take photos on the beach and in the city for families. Location: Virginia Rd, Lincoln, MA 01773.